This yellow adhesive packing tape, made from premium vinyl, is ideal for packing and also good for art or craft work so is perfect for schools. A durable high-tack tape with a convenient write-on surface, it is great for sealing and identifying boxes and containers. Not what you're looking for? 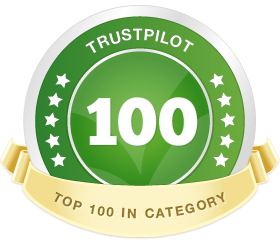 To view our full range coloured vinyl tapes click here. Our yellow adhesive tape is ideal for colour coding storage and archive boxes or identifying shipping products. The yellow vinyl tape sticks easily and permanently to clean smooth surfaces and is excellent for many other general purpose applications like sealing, decoration, wrapping and patching as well as for art projects. In schools our coloured adhesive tapes can be used in decorative projects such as making stars and patterns on posters. Tough and durable, our yellow packing tape is made from top quality vinyl 50mm wide. It is supplied in 66m rolls in good value packs of 6. 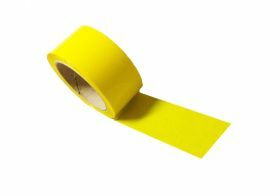 Available in economical rolls of 66m, our yellow adhesive tape is 50mm wide and can be used with a tape dispenser. It comes in packs of 6. Our yellow packing tape is versatile enough to be used daily as it has a wide variety of uses. In offices our yellow tape is good for sealing and marking storage boxes, while for packing stations yellow adhesive tape is also handy when mailing parcels. Keep and use it in warehouses for sealing and identifying packing cartons or for colour coding items when stocktaking. Our yellow tape’s superb adhesive sticks easily and permanently to clean and smooth surfaces. The coloured tape is also tough and strong because it’s made from top quality vinyl. While red spells danger, the colour yellow is commonly used to indicate caution or potential hazards, so our yellow tape can be used to mark anything containing flammable or toxic materials. Oxidizing agents such as bleach may also be colour-coded yellow.